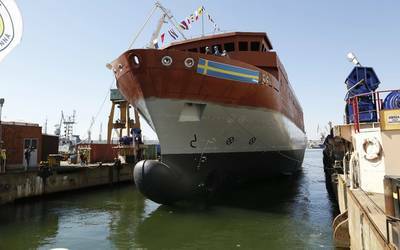 Finnish engineering company, Norsepower today announced that it has received €3 million in investment from a syndicate led by venture capital fund Power Fund III and has installed a second rotor sail on Bore’s Ro-Ro vessel MS Estraden. Data analysis and verification by NAPA, the leading maritime data analysis, software and services provider, has been fundamental to these developments by proving the effectiveness of Norsepower’s technology. A single Norsepower Rotor Sail was installed on the 9,700 DWT Ro-Ro carrier in early 2015. Although the weather conditions were largely calm over the three-month trial, data analysis from vessel performance monitoring and verification software, ClassNK-NAPA GREEN, demonstrated that the rotor sail delivered clear and significant savings of 2.5%. 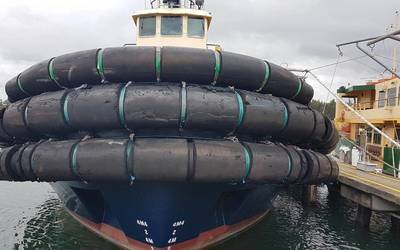 Based on this evidence, Bore has ordered a second installation; the first commercial order for a Flettner rotor in shipping. Doubling the rotor sails has now proven to double fuel savings; NAPA recorded a 6.1% reduction in fuel consumption, avoiding 1,200 tonnes of CO2 emissions annually. Measurement, analytics and third-party verification has helped Norsepower evolve its rotor sail from an innovative system for trial, to a proven and marketable fuel efficiency technology with a clear business case. In addition to the expanded market potential, this evidence has also helped Norsepower increase its enterprise value and secure the future of the business. A syndicate led by Power Fund III, a Clean tech venture fund managed by VNT Management, has invested €3 million to support Norsepower’s growth and market expansion. 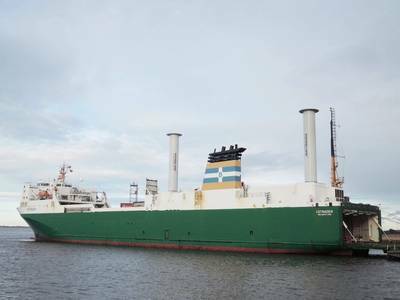 The Norsepower Rotor Sail Solution is a modernised version of the Flettner rotor - a spinning cylinder that uses the Magnus effect to harness wind power to propel a ship. When the wind conditions are favourable, Norsepower Rotor Sails allow the main engines to be throttled back, saving fuel and reducing emissions while providing the power needed to maintain speed and voyage time. Rotor sails can be used with new vessels or can be retrofitted on existing ships without off-hire costs.